Nestled in the heart of Kandy Central, 335 Holiday Homes is an ideal spot from which to discover Kandy. From here, guests can enjoy easy access to all that the lively city has to offer. 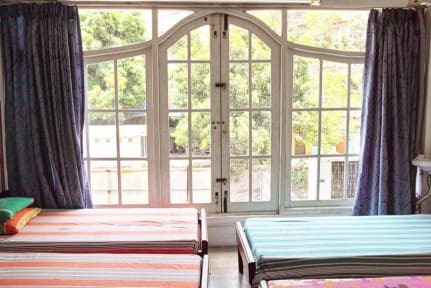 With its convenient location, the hostel offers easy access to the city's must-see destinations. At 335 Holiday Homes, the excellent service and superior facilities make for an unforgettable stay. Top features of the hostel include free Wi-Fi in all rooms, 24-hour front desk, express check-in/check-out, luggage storage and car park. 3 rooms spread over 1 floors provide a warm and pleasant home away from home. Modern comforts such as air conditioning, desk, balcony/terrace, soundproofing and alarm clock can be found in selected rooms. Besides, the hostel's host of recreational offerings ensures you have plenty to do during your stay. 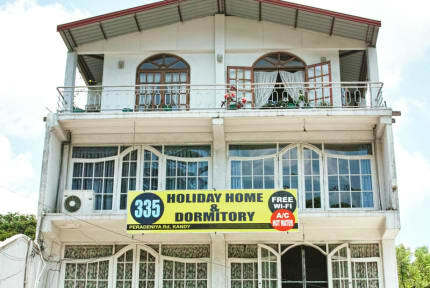 335 Holiday Homes is an ideal place of stay for travelers seeking charm, comfort and convenience in Kandy. 1. Check-in Time: from 8am to 11pm. 2. Check-out Time: before 2pm. 5. Child Policy: Children under 12 half board and we don't provide cot and play area. 6. Reception Hours: open 24/7. 7. Outsiders and pets not allowed. 8. Smoking is not encourage. 9. 335 Holiday Homes provides multiplug adaptors, when checkout, you have to hand them over to us. Camera grande e pulitissima, proprietario gentile e disponibile, buona posizione per qualche notte di passaggio. Non è veramente umn ostello ma più un affittacamere, sono rimasta solo una motte. Ma non ho incontrato nessuno.